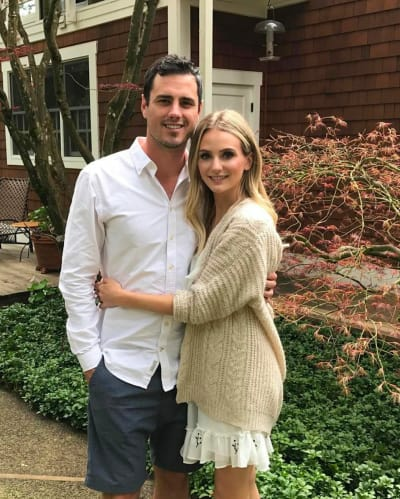 Lauren Bushnell and Ben Higgins: Where Did It Go Wrong?!? Fast forward to Monday and Higgins confirmed that he and Bushnell had broken up. “It is with heavy hearts that we announce our decision to go our separate ways,” the former Bachelor and his previously-selected winner said in a joint statement. “We feel fortunate for all the time that we had together, and we will remain friends with much love and respect for one another. 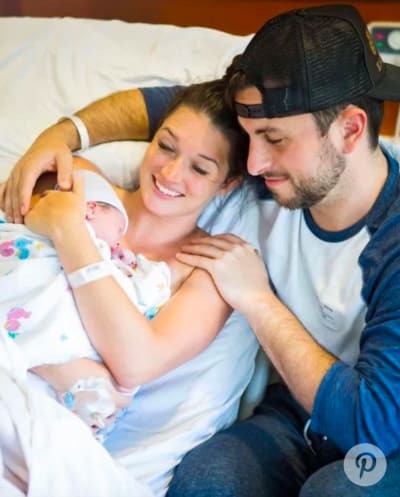 Higgins and Bushnell got together early last year, after the latter beat out JoJo Fletcher to win the former’s season of The Bachelor. 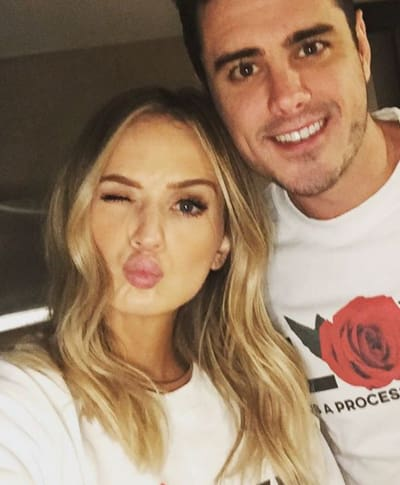 But many fans have been counting down the days to their split ever since The Bachelor finale, considering Higgins also told Fletcher he was in love with her toward the end of his run on ABC. Rumors of a break-up have been dogging Ben and Lauren for several months, despite their starring role on a Freeform reality show last summer in which they allowed cameras to chronicle their personal lives. … although he still claimed he wanted to be with her forever. He just needed more time to fully commit. Yeah. Like we said: this split wasn’t too hard to see coming in some ways. But now the romance is officially over. “I know that they have struggled with the show and then kind of continuing on and doing their reality show and kind of where the show stopped and then where life began,” The Bachelor host Chris Harrison told People yesterday of his interpretation. Yet, while Harrison expressed shock upon being told by People that Higgins and Bushnell had split, an insider tells E! News this was easy to see coming. The E! mole goes on to explain that the pressure of having to seem happy while in the public eye really affected Ben and Lauren. We can see this; following the end of their reality TV season, Lauren quit her job and moved to Denver for Higgins. She really had no identity except for The Woman Who Won The Bachelor. But at least Ben and Lauren have a whole lot of company. Yes, some couples who met on The Bachelor or The Bachelorette have gone on to make babies together (see above). Most, however, have gone their separate ways. Next story Garcinia Cambogia and Apple Cider Vinegar Diet: Is it Worth It?